DNA molecules provide the "source code" for life in humans, plants, animals and some microbes. 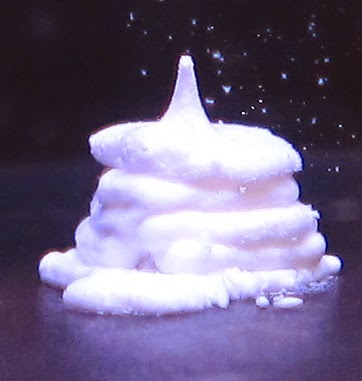 But now researchers report an initial study showing that the strands can also act as a glue to hold together 3-D-printed materials that could someday be used to grow tissues and organs in the lab. This first-of-its-kind demonstration of the inexpensive process is described in the journal Biomaterials Science & Engineering. The researchers explain that although researchers have used nucleic acids such as DNA to assemble objects, most of these are nano-sized - so tiny that humans can't see them with the naked eye. Making them into larger, visible objects is cost-prohibitive. Current methods also do not allow for much control or flexibility in the types of materials that are created. Overcoming these challenges could potentially have a big payoff - the ability to make tissues to repair injuries or even to create organs for the thousands of patients in need of organ transplants. With this in mind, the research group set out to create a larger, more affordable material held together with DNA. The researchers developed DNA-coated nanoparticles made of either polystyrene or polyacrylamide. DNA binding adhered these inexpensive nanoparticles to each other, forming gel-like materials that they could extrude from a 3-D printer. The materials were easy to see and could be manipulated without a microscope. The DNA adhesive also allowed the researchers to control how these gels came together. They showed that human cells could grow in the gels, which is the first step toward the ultimate goal of using the materials as scaffolds for growing tissues.